To keep the welfare of people, our environment and the communities we live/ work in paramount while making business decisions. To create the highest quality product possible while making consumer safety a top priority. To help find environmentally responsible disposal methods for logging and fishing waste build-up. To continue to improve on the ways we conduct our business and always find more environmentally effective ways of packaging our product. The last thing our vendors want to receive are broken or torn bags, but you know what they say: "one persons trash is another persons treasure". So since the product inside the bags is still good, we donate all broken bags to charity organizations. By charity organizations we mean community gardens who provide food for the underprivileged or therapy for those working in the gardens. In 2007, SEA SOIL donated 2 tonnes of soil to the Anderton Therapeutic Gardens in Comox to show our support for their dedicated efforts. 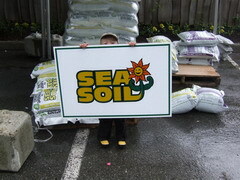 SEA SOIL is also donated in bulk to various children's fundraising efforts on Vancouver Island to raise money for certain events. Last summer we also hosted the first annual children's SEA SOIL Mountain Bike Race in Port McNeill to orientate children with bicycle safety and encourage them to enjoy exercise and an outdoor activity. 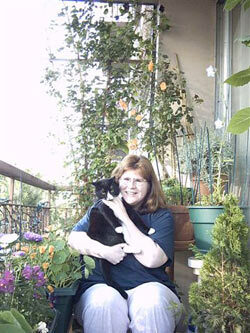 As a family we support several charities across B.C. and as a business we feel compelled to assist those around us. After all, it is our duty to assist in improving our communities. If you belong to an organization that is committed to either environmental improvements, community gardens or children's welfare and feel SEA SOIL donations could help, please contact us for more information. Special thanks to Van Kam Freightways for delivering our donated soil free of charge!